So as we come to a close on the film year, we now have a top ten of 2013 based on the Australian release schedule. This top ten is based on the scores out of ten which each film reviewed by Movie Critical has received this year. Here are the top ten films of 2013 ranked from ten to one. Alfonso Cuaron's film of space survival is a cinematic masterpiece. With an amazing musical score and breathtaking visuals, Gravity is extremely suspenseful and entrancing. 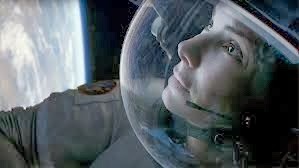 Sandra Bullock is wonderful as Ryan Stone, and deserves nothing but the highest praise for how mentally and physically demanding this film must have been for her to star in. Bullock spends the large majority of the film by herself on screen, which one can only imagine would have been incredibly lonely as well as mentally draining. Cuaron's direction brings out the best in his lead lady as well as building an incredible universe around her. Prisoners lingers with the viewer long after the film is over. 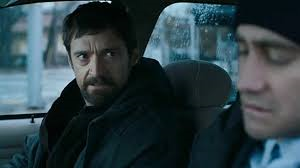 As one of the best family related psychological thrillers in years, Denis Villeneuve delivered a film which is so disturbing to watch for any parent, but brilliant in the way that it makes you contemplate how you would react in such a situation and whether there is any way to justify revenge on someone who is capable of such brutality on your kin. Wonderful performances by all those involved and beautifully shot. 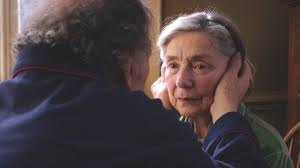 Amour won Best Foreign Language Film at the Academy Awards earlier this year and every bit deserves the honour. 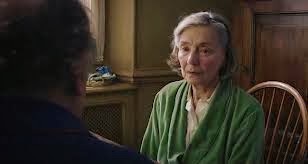 In Michael Haneke's beautiful but heartbreakingly real film about lifelong love, Emmanuelle Riva (who was also nominated for the Academy Award for Best Actress and won the BAFTA for her role) and Jean-Louis Trintignant are incredible on screen as husband and wife Georges and Anne. While the film is saddening, there is also such beauty in the way it is filmed and also in the idea that these two people who have loved each other their whole lives truly cannot live without the other. 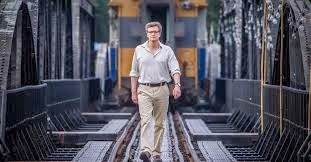 The Railway Man combines an incredible story with incredible film making. The true story of Eric Lomax is absolutely extraordinary and the closure the film delivers is unexpected and completely unpredictable. The cinematography is absolutely beautiful and the landscape shots of Scotland and Thailand deliver far more than just visuals, as they allow you to hear, smell and feel everything that the characters themselves are. Colin Firth does brilliantly in the lead role, as do both Nicole Kidman and Hiroyuki Sanada. Kathryn Bigelow's film about the ten year long manhunt for Osama Bin Laden attracted it's fair share of controversy when released, but attracted just as much praise and appreciation. Zero Dark Thirty does not lack in suspense and tension and is captivating from beginning to end. Wonderfully shot and with a powerhouse performance by Jessica Chastain, it won the Academy Award for Best Achievement in Sound Editing and was nominated for another four awards. The Hunt made it's debut at the Cannes Film Festival 2012 but finally hit our screens this years. 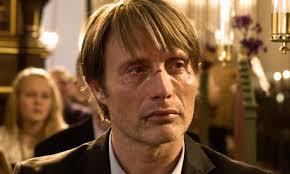 Mads Mikkelsen took away from the festival the honour of being named Best Actor of the festival. He is absolutely outstanding in Denmark's The Hunt, as the father who is wrongly accused of child molestation. The film is incredibly shot and captures the real beauty of it's country. Although the subject of the film is a confronting one, it is not actually about the graphic subject but the way people react when faced with the subject. It is saddening how the accused can innocent until proven guilty, but the people see you as being guilty until proven innocent. The Spanish film Blancanieves is a retelling of the Snow White fairy tale, in which in 1920's Seville Snow White's mother was a beautiful dancer and her father a famed Spanish bullfighter. This film is a completely original version of a well known story, as it is also filmed in black and white and is a silent film. It contains beautiful imagery which doesn't rely on colour to make it exquisite, and it's musical score is wonderful. The performances are also wonderful by Macarena Garcia and Maribel Verdu, as being a silent film, so much relies on facial expressions. Truly one of the most beautiful films of the year. David O. Russell's Silver Linings Playbook was the comedy of the year. It's absolutely outstanding screenplay that brought mental illness into the spotlight was confronting at times, but also very funny and uplifting. Russell is known as a director who brings out the very best in actors and this was more than evident in this film with Bradley Cooper giving the performance of his career, and Jennifer Lawrence giving an amazing performance which earned her the coveted Best Performance by a Female in A Motion Picture Academy Award. The Rocket is the most charming film of 2013. It has so much simple beauty in it shown through characters who are incredibly unique and an absolute joy to watch on screen. 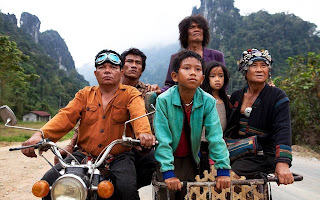 Director Kim Mordaunt made the first feature film to be filmed in the war torn country of Laos and really captured the country's beauty in an incredible way. All the lead actors gives just wonderful performances and it is hard to believe that young Sitthiphon Disamoe and Loungnam Kaosainam (who is one of the best child supporting actress's you will ever see) are not professional actors. Truly an unforgettable film. Quentin Tarantino's Django Unchained is our top movie of 2013. Tarantino's does historical brilliantly, as he has proved before with Inglorious Basterds, as he puts his own quirky twist on them by throwing into the mix modernism and his black sense of humour. Tarantino is another director who brings out the best in his actors and this is evident considering Django Unchained gave Christoph Waltz his second Academy Award under his direction. The screenplay, which also won the Academy Award for Best Original Screenplay, is brilliant as it is always intriguing, often very funny and the dialogue is absolutely captivating. The ending is so over the top, but is just Tarantino perfection. I like all this films. You have shared nice post.